In the past, Case has added one or two zeros to an original pattern number to signify a variation of an existing pattern. These zeros can be found before the first digit, or between the blade identification number, and the original factory pattern number. Some handle materials have been assigned more than one digit. An example of this would be appaloosa. This material is represented as A6. 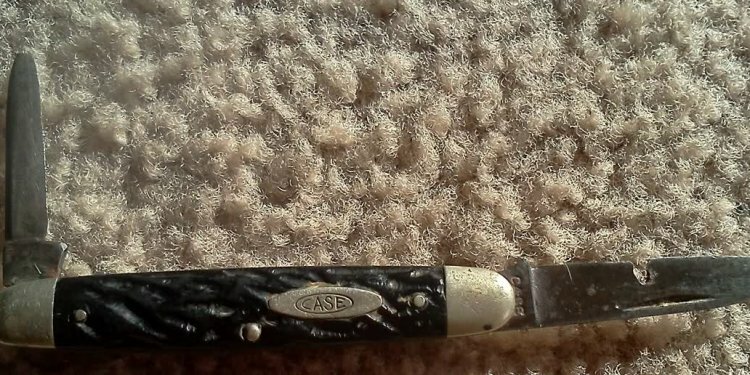 Relatively recent Case knives often have three digit factory pattern (handle die) numbers instead of the usual two. An examples of this includes the CopperLock. It was introduced in 1997 with a factory pattern number of 549. Following the pattern number, there are often various letter abbreviations that represent other unique characteristics not covered by the patterns number. For example: if SH follows the patterns number, the knife will contain a sheepsfoot blade. If there is a DR, the knife should have a drill hole in the rear bolster. A 1/2 is very common. It signifies that the knife has a clip master blade. More about Case’s blade abbreviations. Note that the blade abbreviations may be located behind, below, or on a different blade as the pattern number.